This magnet for literati boasts a library stocked with 4,200 signed first editions by famous authors who have passed through, including Umberto Eco, Isabel Allende, Dave Eggers, Jonathan Safran Foer and Toni Morrison, and a museum-worthy collection of 800 artworks from the post-war CoBrA movement on the walls of its 10 converted canal houses. 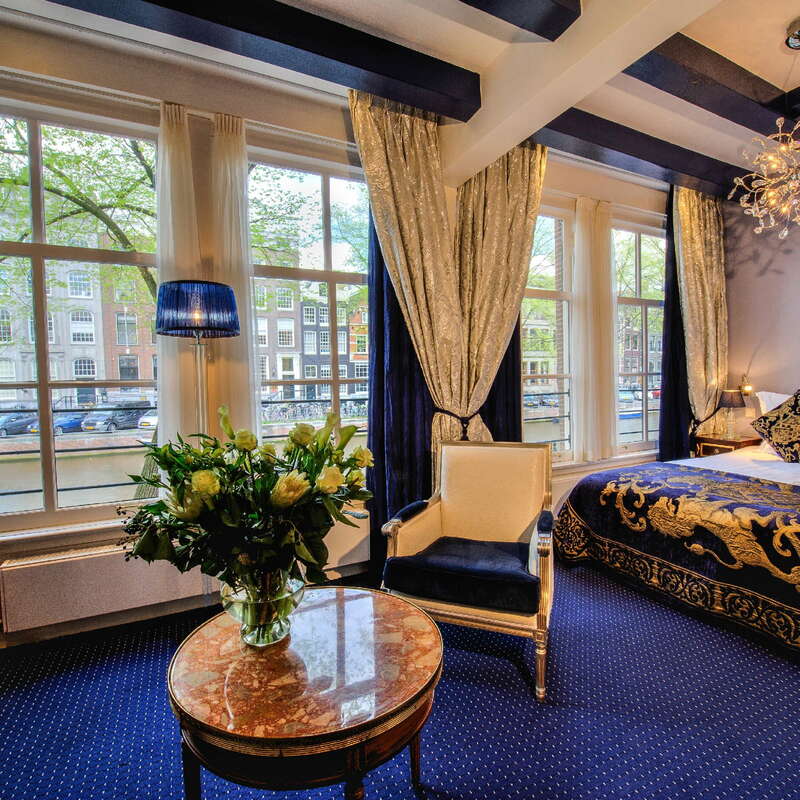 Situated in a quiet, residential part of the world-famous Canal Belt, most of the 56 individually decorated rooms offer views of the Herengracht. Some are done up in rich, sumptuous fabrics, while others feature bright colors, florals and leopard print, but most have at least some CoBrA works and striking details, such as wood-beam ceilings, antique Louis XV and XVI furniture, and elegant chandeliers. 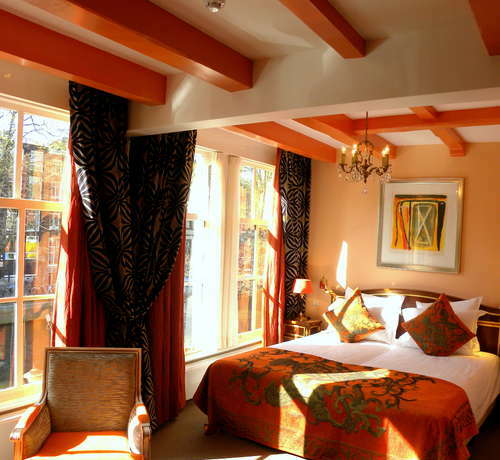 There’s a family room (sleeps 4) and three triple rooms, and baby cots are free of charge. Bathrooms feature twin sinks and Bulgari bathroom amenities. There are rooms with walk-in showers and some with the dreaded shower-in-bath combo, but the more luxurious rooms and suites have separate showers and baths. 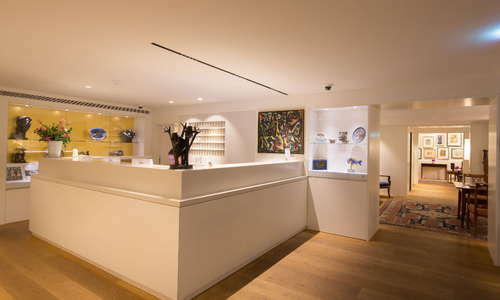 The lobby and adjacent salons are tastefully decorated with an attractive assemblage of antiques and modern art. 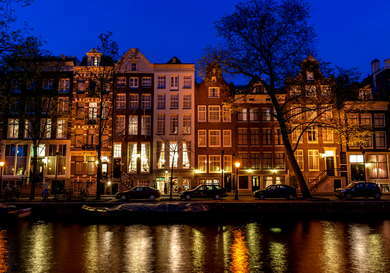 Popular with publishers and authors alike, the Ambassade has served as a setting in various books, including The Museum Guard by Howard Norman and The Mark of the Assassin by Daniel Silva. While there is no in-house spa, there is a wellness center with relaxing salt-water float cabins and massage facilities right next door. Recently refurbished by the same architects who worked on the much-praised Rijksmuseum renovation, Brasserie Ambassade offers classic French cuisine. 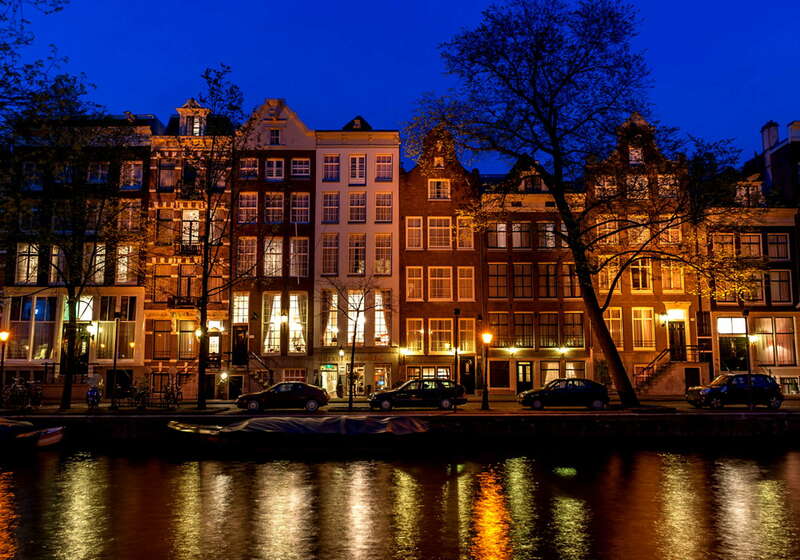 Reflected in antique mirrors are gorgeous views of the Herengracht canal, twinkly candelabra and colorful works by CoBrA artists. The Dutch Champagne Breakfast (not included) is served here too: along with the usual eggs, cheese, charcuterie, breads and pastries, there are poffertjes (small Dutch pancakes), smoked fish, a selection of local breakfast favorites and bubbly. The Library Bar bar is a stylish setting to enjoy classic cocktails, local beers or international aperitifs or digestifs. Here, you'll discover signed first edition copies of 15 Nobel Literature Prize winners who have stayed at the hotel in recent decades. 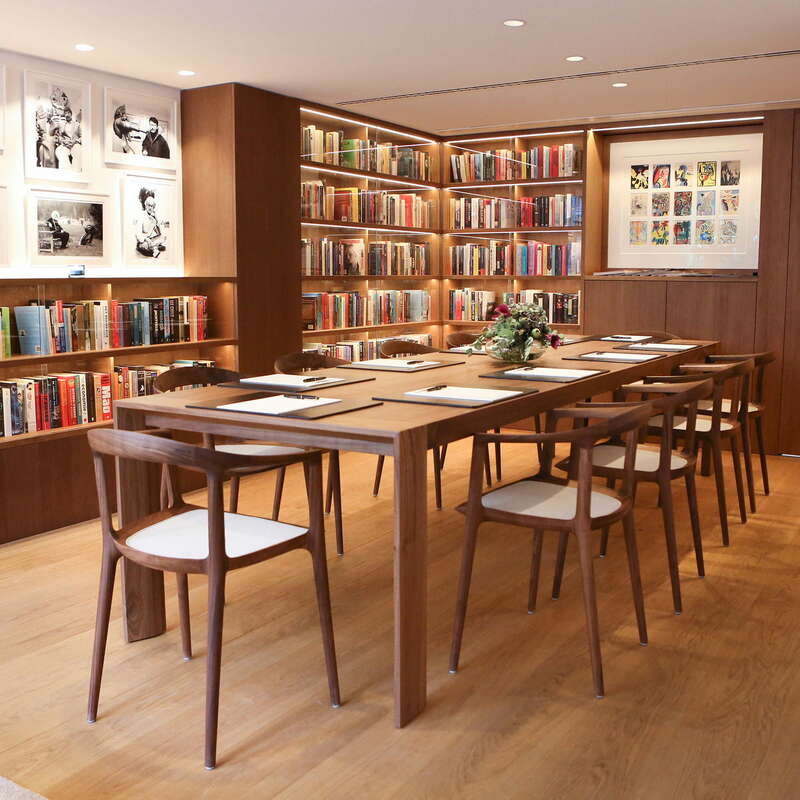 In keeping with the Ambassade's long literary tradition, a monthly writer’s salon is organized here, too. 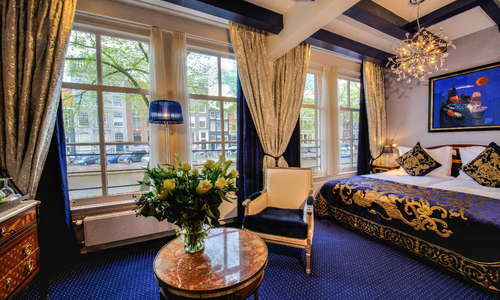 Ambassade Hotel offers great access to the Western Canal Belt and Jordaan area. You can easily walk to all the important sights and tram lines 1, 2, 5 (3-minute walk) and 7 and 10 (11-minute walk) will take you to other parts of town. For some of the best pancakes at town, you can’t go wrong at Pancakes! (4-minute walk). The Seafood Bar (4-minute walk), offers smoked fish varieties from Volendam, delicately-battered fish and chips, four varieties of oyster and platters of fruits de mer. Or, go Dutch–at least as far as cuisine type is concerned–at Lt. Cornelis (5-minute walk). Perennially popular Café Gollem, a dark and cosy Belgian beer café with over 200 bottled brews and 14 on tap, is only a 3-minute walk away. In the nearby Jordaan area, there’s Bar Oldenhof (7-minute walk) with a nouveau-gentlemen’s club vibe and reasonably-priced cocktails (by Amsterdam standards, that is) and a wide selection of whiskeys. 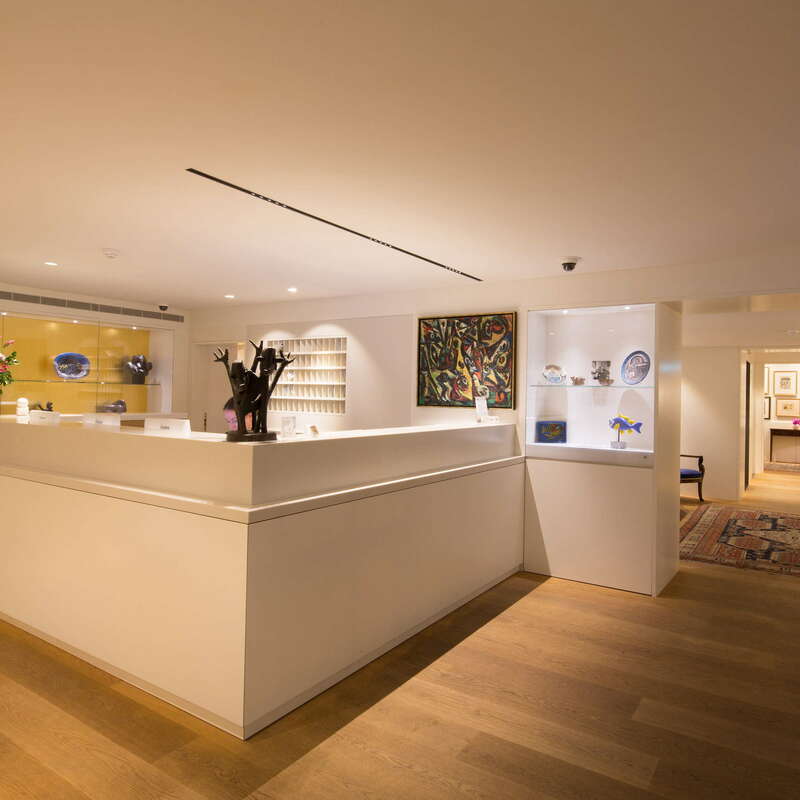 This independent hotel offers authentic allure, awesome art, award-winning service, and charming canal views, too.